I've been using Inkscape for a few months, but recently, path difference hasn't been working like it has before. 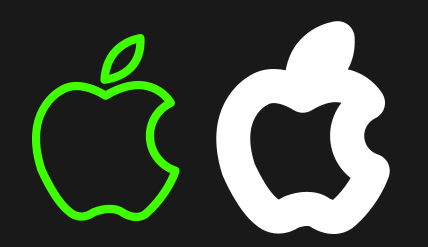 The attached image is 2 identical logos on top of a black background, but the logo on the right is what I'm seeing when I go to "Path/Difference" (select right logo + black background, go to Path/Difference). It's distorting the shape like a Bold effect. I've also seen the same thing happen with text, but the "Path/Difference" result has made the text much thinner. I've had no problems with Path/Difference until recently. Any tips or ideas would be much appreciated! The Stroke Size on the background rectangle is also applied anywhere there is path difference within the centre of the rectangle. Problem resolved by removing Stroke from the background rectangle. Not the answer you're looking for? Browse other questions tagged inkscape path bug or ask your own question.